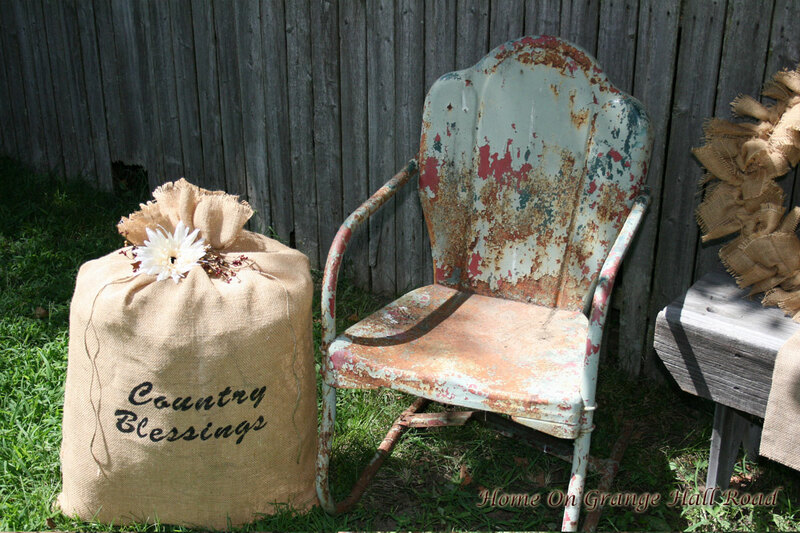 I love these two old metal lawn chairs. When we were kids that’s the kind of lawn chairs we had in our yard. Back then we used them to sit on, they were not used for decoration. 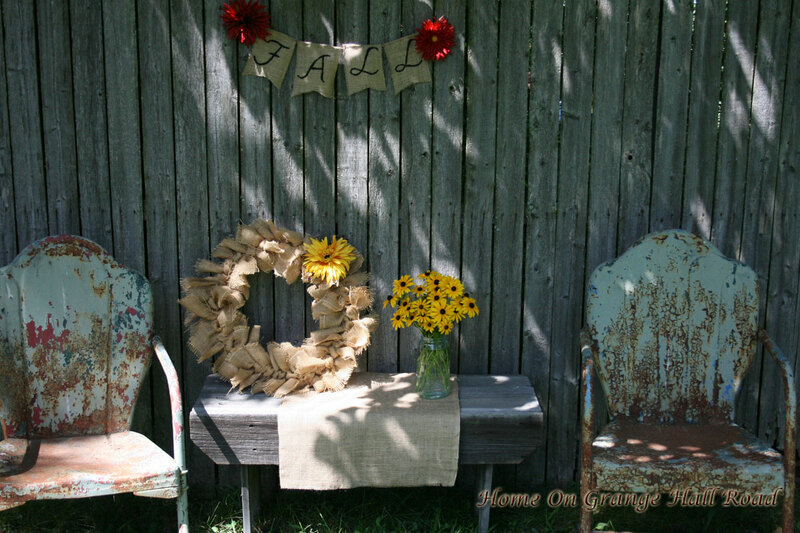 An old bench makes a cute table with a burlap table runner. Our craft business (SistersCg) has several styles of table runners available. And we are happy to customize a table runner to your specifications. 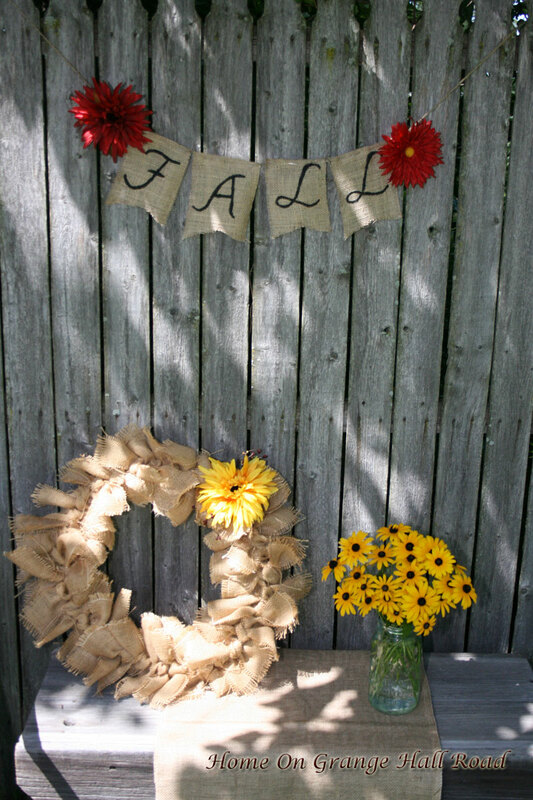 I made a FALL banner and hung it from the fence and the Country Blessings burlap bag is lighted. We have a variety of lighted burlap bags available with different messages and decorations and are also happy to do customized bags. 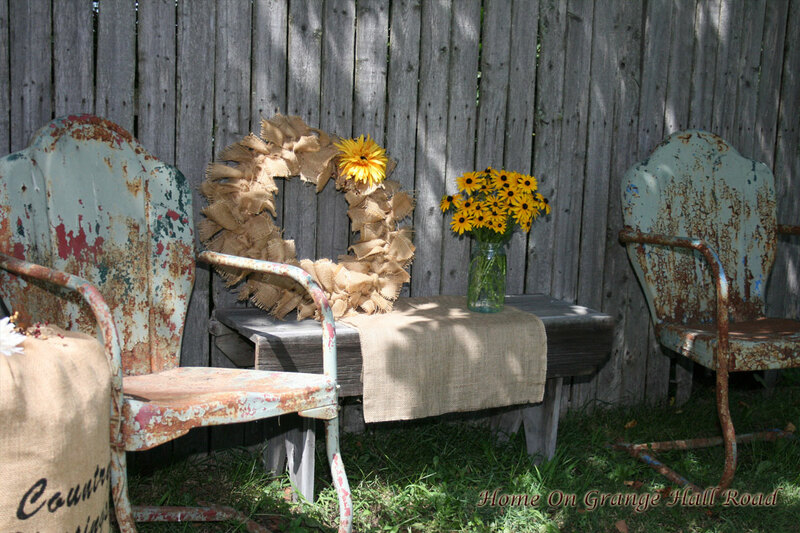 Sitting on the bench is a burlap wreath, also from SistersCg and the Mason jar of Black-eyed Susans. My sisters and I love decorating with unique, handmade items. 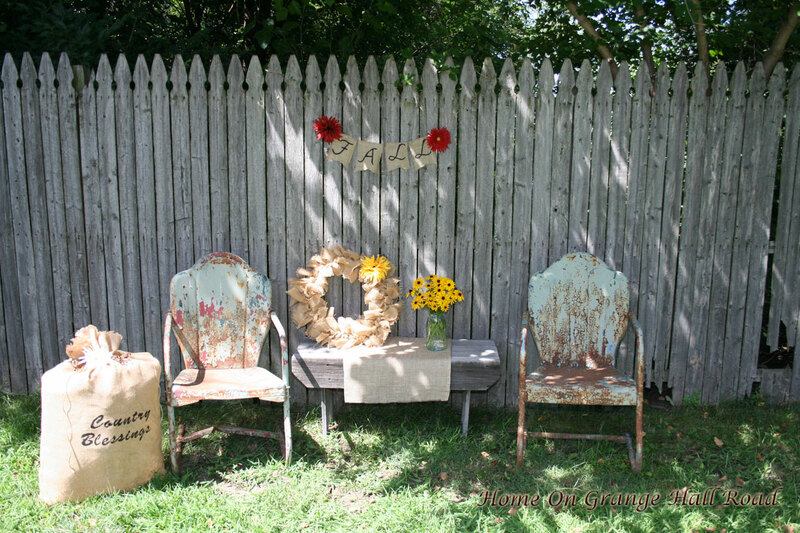 If you are interested or would like more information on any of the items with the SistersCg tag or would like a listing of our upcoming craft shows, you can contact us at Sisterscg@yahoo.com, like us on Facebook (SistersCg) or comment here on our blog at Homeongrangehallroad.com. I’ve missed you guys. Glad for the post, I was going to look you up! Thanks, Kathy & Pat. All my best, Kathy N.